Stay cozy with the unicorn of the sea, the narwhal, wrapped around your neck. 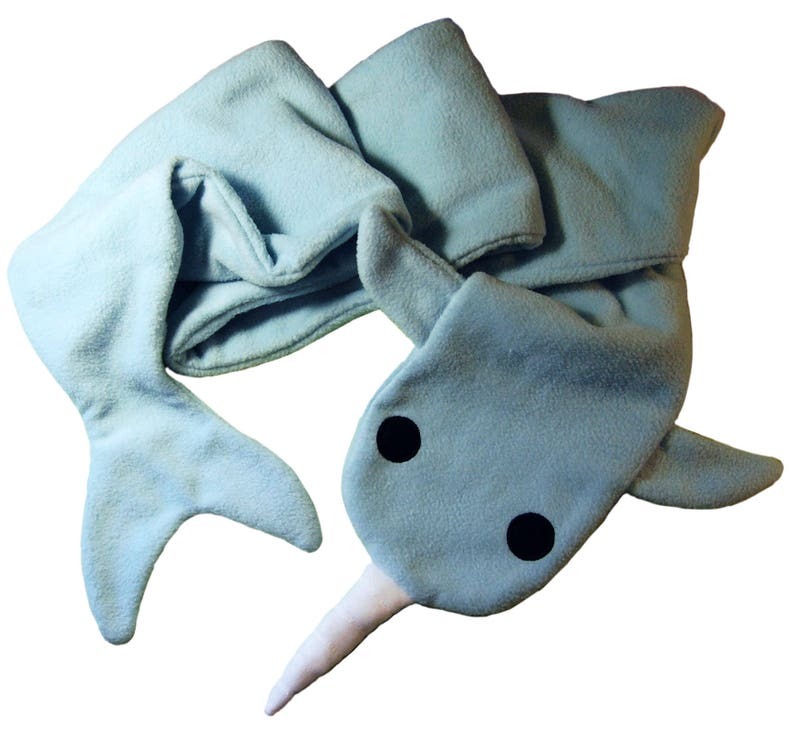 Made from two layers of warm, machine washable fleece, this cuddly cetacean is both cute and practical. Love my soft cuddly narwhal scarf!